The Holy Land Unveiled: Americans assume that suicide bombers are driving the “Israeli-Palestinian conflict.” And yet the death toll of Palestinians in the last four years is six times greater than that of the Israelis. In the year 2004, the death toll of Palestinian children was actually 22 times higher than that of Israeli children. There were 179 Palestinian children killed as compared to eight Israeli children, but the media would have you believe that the figures are reversed. Do not believe it. In a detailed study of The New York Times in 2004, it was discovered that they reported the deaths of Israelis at a rate 3.6 times their reporting on the deaths of Palestinians. For the other media, the distortion was even greater. The major networks reported on the deaths of Israeli children up to 13 times as much as they reported on the deaths of Palestinian children, revealing a purposeful bias designed to brainwash viewers. While American media covers the minutiae of the so-called peace process, Israel continues to consolidate its control over the West Bank. 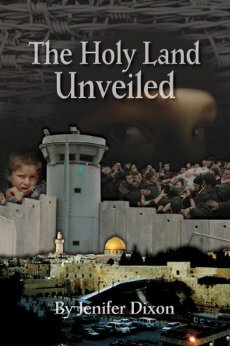 How it does so is described in The Holy Land Unveiled. It is important for Americans to come to grips with the truth about this situation. Our extremely biased policy toward Israel and our unwillingness to see the results are undermining our credibility in the Middle East-and everywhere else. More importantly, it enables Israel to make the lives of Palestinians a living hell (those who are not shot). They are a people worn out by the daily struggle for survival against all odds. As it is unlikely that the status quo will change, it is equally unlikely that the future for Palestinians will improve unless Americans can read the truth. For this reason it is important that Americans have a greater understanding of one of the most long-lived conflicts that is uniquely affected by American foreign policy. Only then can we all help save the people of the Holy Land from genocide.